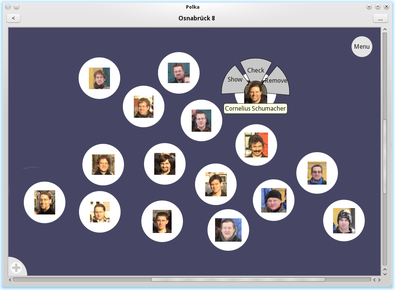 Polka is the humane address book for the cloud. Its interface is built how people think about people, and it connects to the cloud, while still giving the user full control about the data. More about the concepts behind Polka can be read in my blog entry "It's not an address book". Polka was created by Cornelius Schumacher, logo by Saleel Velankar, packages by Sascha Manns.